If you read our post a while back about toxic plants for pets, as well as this post on preventing pet poisoning and emergency procedures, you might be frightened for your kitty’s sensitive stomach. But we have good news: there are countless plants that cats not only love, but that can help them ward off a number of ailments or target existing health concerns, as well as provide optimal snacking pleasure. While every cat is unique in their taste preferences and may not enjoy every edible option presented to them, presenting your feline with options is a sure-fire way to make for a happy cat! When you think of a healthy, natural diet for your whiskered friend, you probably think of meat. Cats are hunters after all, right? But if there’s one thing cats love, it’s the occasional leafy treat to keep their diet varied and well-rounded, just as it is in the wild. That’s why we’ve come up with a list of safe, yummy plants for your cat to explore and expand their taste palette. And the best part? All of these plants are easy to grow alongside your other herbs and decorative foliage, look and smell great, and can have positive health benefits for you as well! With each plant, however, be sure to keep kitty away during the plant’s early growing stages, and allow your feline to much on them only in their natural form — not in essential oil or concentrated form. Likewise, moderation is key; overeating can lead to indigestion and an unhappy kitty. This delicious smelling and common decorative plant is similar to catnip in that it excites felines and is safe to nibble. The long stalks are particularly tempting to playful felines, and they love the sweetness — it fact, lemongrass may very well become your feline’s favorite treat! You’ll love the mosquito-warding effects and burst of greenery on your porch or in the garden. For ways to use and cook with lemongrass, check out this article. Health Benefits: Antibacterial, antifungal, antiparasitic, antiseptic. 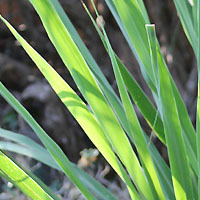 Lemongrass is also a sedative that aids in digestion. Everyone knows that catnip is the king of cat herbs, which is actually a member of the mint family (most commonly referred to as Catmint). Thus, many felines are particularly enamoured by the smell of mint in all forms. There are a number of delicious smelling and tasting mint varieties for kitties to munch on, including apple mint, lemon mint, and of course, the classic – spearmint. Peppermint and peppermint products should be avoided as cats are highly sensitive to the smell and taste. 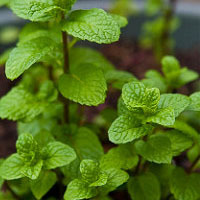 Health Benefits: As with humans, mint is known to be therapeutic as its primary benefit, though research suggests its positives are more on the human side with the ability to soothe sore muscles and combat insomnia. Parsley is a staple in nearly every kitchen, but you should consider growing an extra batch for your cat to provide extra nutrition that kitty might be missing. With vitamins A, C, E, and beta carotene, potassium and other minerals to keep your cat healthy and happy, this leafy herb is a tasty dietary addition to your garden that you can feel good about sharing with your curious feline. 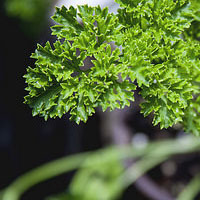 Health Benefits: Parsley is said to support urinary tract health due to its antifungal and infection-fighting properties, and help with anemia and kidney concerns. A sweet-smelling choice for bubble baths, soaps, and centerpieces, lavender has the same calming effect in cats as it does on humans, with or without the flowers intact. Fortunately, cats have a fondness for aromatic plants, which is why lavender is often used to fragrance kitty litter. But its benefits from aromatherapy alone are particularly noticeable in its ability relieve tension, soothe anxiety (particularly beneficial for those dreaded vet visits! ), and agitation. For humans, SmartLivingNetwork recommends the classic French spice blend Herbs de Provence, which is a combination of savory, marjoram, rosemary, oregano, and lavender leaves for cooking. 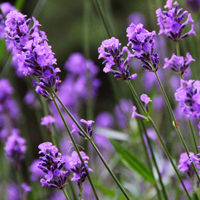 Health Benefits: Not just for smelling, lavender is said to be a natural flea repellent, with antiseptic and anti-inflammatory properties that make it ideal for minor wounds and bug bites, as well as headaches. Licorice is a delicious-smelling and fast acting anti-inflammatory plant. 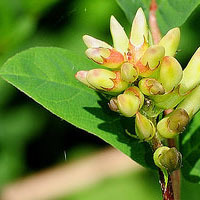 While allowing your kitty to nibble directly on a licorice plant isn’t encouraged, cats generally enjoy the taste of licorice, making this herb perfect to mask the taste of less-desirable medications from the vet. Many people use licorice for sore throats, bronchitis, cough, and other infections caused by bacteria or viruses. Health Benefits: Various digestive system disorders can be helped with licorice root. It has also been said that licorice root can boost metabolism and soothe kitty’s allergies and arthritis pain. For more information on how to properly administer licorice root, check out this article by the Ottawa Valley Dog Whisperer. Pot Marigolds (Calendula) & Zinnias: As fresh-smelling as they are colorful, marigolds and zinnias are also completely safe for cats. The petals can be used for culinary purposes if you’re feeling adventurous, and while they don’t have any specific health benefits, many cats enjoy the unique taste as an after-dinner treat. Oat/Wheat Grass (Cat Grass): Oat grass is a classic cat-plant, especially for those living in apartments and smaller spaces. It’s easily grown in a pot, and is so beloved be felines for its taste and texture that oftentimes your precious feline will spend more time sleeping on it than eating it! Keep in mind, cat grass should be kept trimmed short to prevent seeding, which can be toxic. Catnip (Catmint): Cats of all ages, shapes, and sizes seem to enjoy this fragrant herb, which is both non-toxic and easy to grow. In some cats, catnip can cause extreme playfulness, while in others, it has a mellowing effect. How does catnip work? Science suggests that catnip mimics the natural sedative hormones in felines, which is why on the whole, it is the most universally adored plant for cats, and widely grown plant in cat gardens. Keep in mind, catnip loses its effectiveness quickly, so PetMD suggests that any extra be frozen to preserve longevity. There are differing opinions as to why cats enjoy nibbling on plants, but often, it comes down to two things: cats know best what their own bodies need to stay healthy and simply because they can. While a delicious mint leaf has its internal benefits, pet-owners know nothing can compare to the temptation of a dangling leaf swaying in the breeze! Younger cats in particular enjoy chewing on things just as newborn infants do to learn about their surroundings. 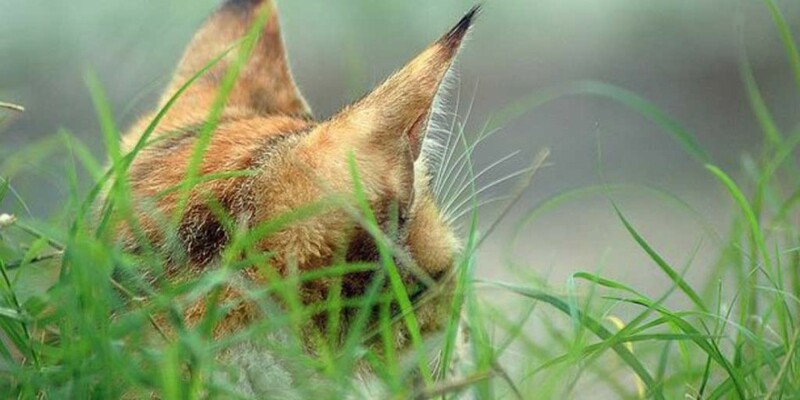 However, persistent grazing can also be a sign of other issues, including feline Pica or a chewing compulsive disorder that may stem from environmental stressors. While none of the plants above are listed on the ASPCA’s Toxic Plants list, be sure to consult with your vet and carefully monitor your cat’s consumption — many “safe” herbs and flora can cause side effects if overindulged. If you notice kitty nibbling on a safe plant too often, simply move the plant out of reach and monitor your cat for any negative side effects. Is KirinGie.Me in your community yet? If not, pre-register today to let us know you want our program in your neighborhood. Be the voice pets need. Together we can protect them. There is no cost or obligation to join.